Too often hospital marketing or IT departments send off requests for proposals (RFPs) that list wanted functionally, and then wonder why their Web site vendor doesn't provide strategic value. The fact is, if you outsource some or part of your online initiatives, it's more important than ever that your vendor is proving their value. 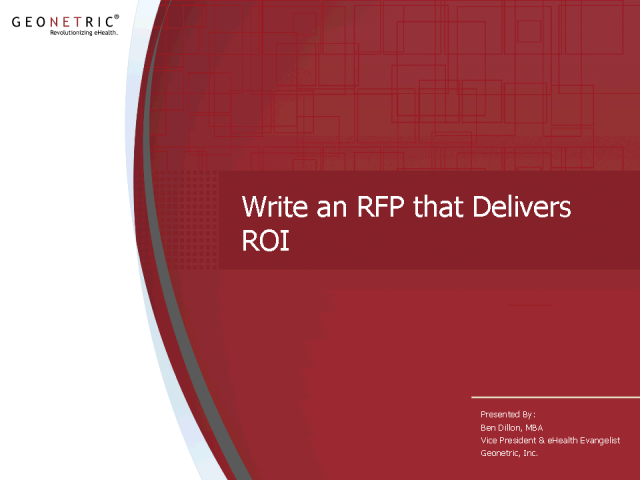 Join Geonetric as we help you look at your relationship with vendors in a strategic way, from RFP creation to ensuring continuous return on investment.